Did you know that Cape Coral has the 2nd highest rate of home foreclosures in the USA behind Las Vegas. 1 in 8 homes here have been foreclosed. 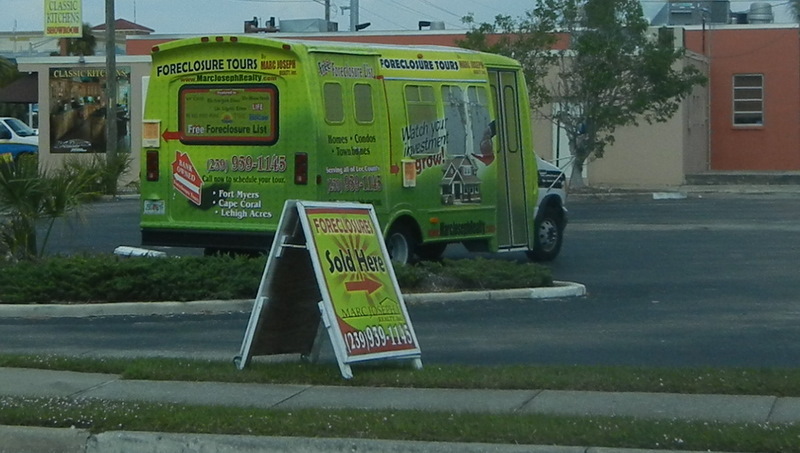 This street side photo illustrates how bad it is when bus tours now take people around to see foreclosed homes. Tonight we are staying with friends Fred and Joanie at their winter home in Cape Coral on a canal off the Caloosahatchee River. More photos tomorrow.